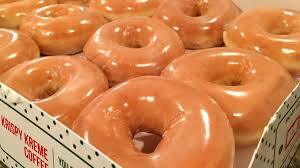 Now through March 31st, join Krispy Kreme Rewards (free to join) and you’ll get a Dozen Glazed Doughnuts FREE with the purchase of any dozen doughnuts! Know that you’ll need to scan your app or provide a phone number at checkout and there is a limit of one redemption per offer. For more information on this promo, head over here. And just for signing up for a free account, you’ll also get exclusive offers, plus get a free doughnut! And, you’ll also get a FREE doughnut of your choice & a small coffee or fountain drink on your birthday!